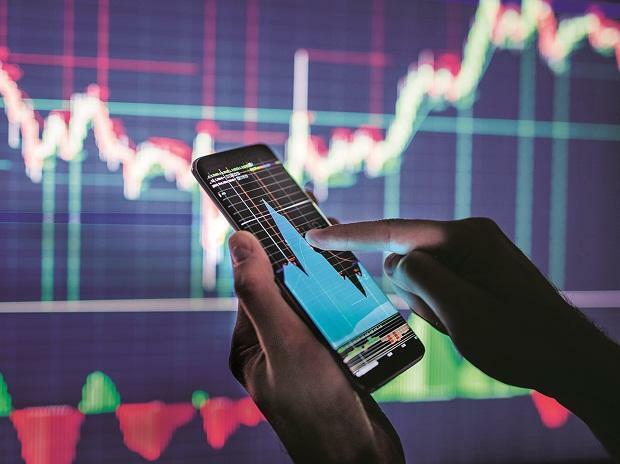 During the initial part of the week, the Nifty remained under a bit of pressure due to rising geopolitical concerns on the domestic as well as the global front. During the latter half, the geopolitical concerns on the domestic front eased off a bit due to some positive developments and this clearly had a rub-off effect at the opening on Friday. We started the day with a decent upside gap, which was followed by a long consolidation in our benchmark index. In fact, the index remained in a slender range throughout the day by maintaining its positive posture. Eventually, the Nifty managed to close the week with gains about seven tenths of per cent. As far as levels are concerned, the index has not gone anywhere and hence, we are still trapped in a trading range of 200 points i.e. 10930 – 10730. Only a sustainable breakout in either direction would lead to some trended move. Till then, one should avoid trading aggressively. However, having said that, we have been quite vocal on the fact that the broader market is showing some signs of revival and this is what we have experienced in the week gone by. In fact, on Friday, we saw some blown-up moves in a bunch of individual stocks. Hence, it’s better to focus on such potential candidates rather than just scratching our heads, tracking a tick by tick movement in the index. On Friday, the other heavyweight pocket ‘banking’ did extremely well as we saw the entire PSU banking space had a stellar rally. Also, few midcap private banking names too did not stay back and they contributed considerably in Friday’s move. But the real outshining pocket was ‘Pharmaceutical’, especially the midsize beaten down counters, some of which had an eye-popping move towards the fag end of the day. Justification – After a period of silence for more than four weeks, the stock prices seem to be back in momentum by crossing above the higher range of last few weeks’ consolidation. In addition, on the daily chart, prices have closed above the higher range of Bollinger band indicating a strong trended move in the near-term, post its recent long consolidation. The above-said breakout is supported with above-average volume. Moreover, momentum oscillator i.e. RSI has given fresh buy signal with its smoothened moving average and looking at all the above evidence, we sense a strong upside from the current levels cannot be ruled out. Thus, we recommend buying this stock at current levels for a target of Rs 1,600 over the next 14 – 21 sessions. The stop loss should be fixed at Rs 1,465. Justification – The stock price has broken above its resistance zone of multiple highs at Rs 930 levels. The said zone acted as a strong supply zone three times in the last five months and breaking above the same now indicates a change of polarity. Technically, averages and oscillators are well placed in positive zone and with prices entering unchartered territory, we sense a good momentum move in the counter in the near term. Thus, we recommend buying this stock at current levels for a target of Rs 1,050 over the next 14 – 21 sessions. The stop loss should be fixed at Rs 892.